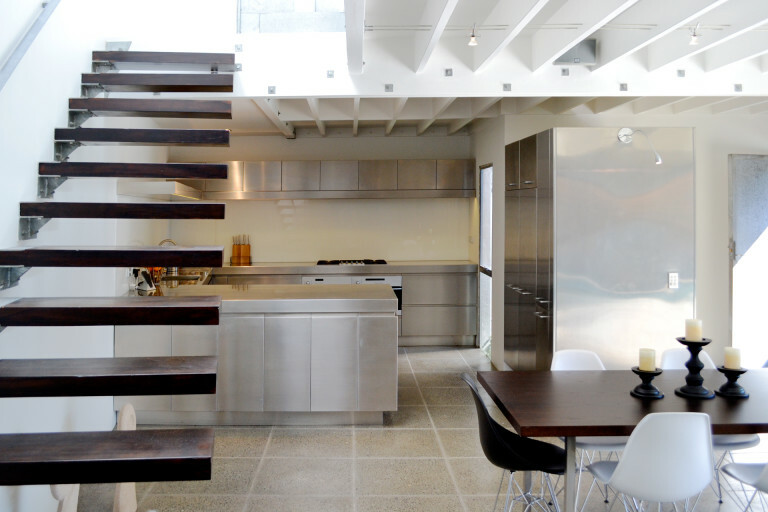 Designed by Pattersons Architects in the early 90’s, they returned to revamp it. 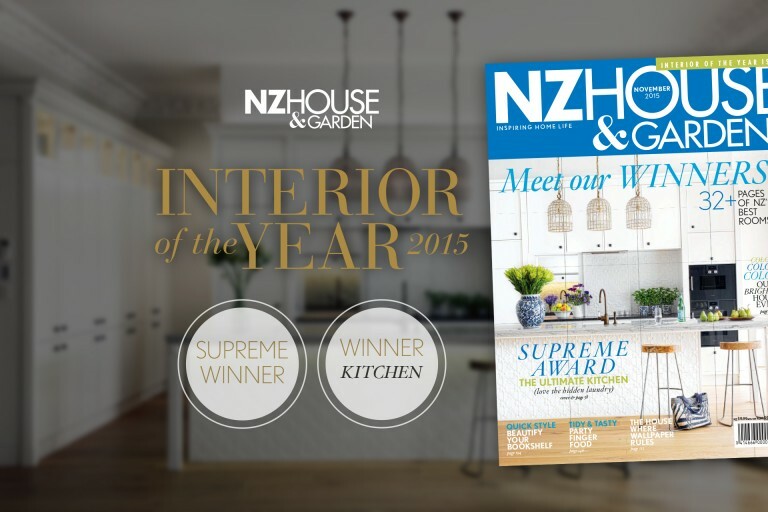 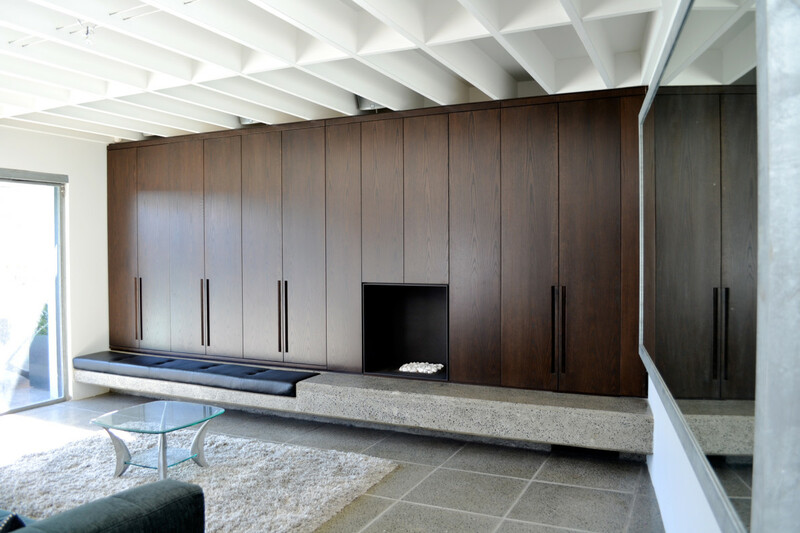 Form Design custom made the floor-to-ceiling cupboards out of American white oak finished with a dark stain with custom made solid timber handles. 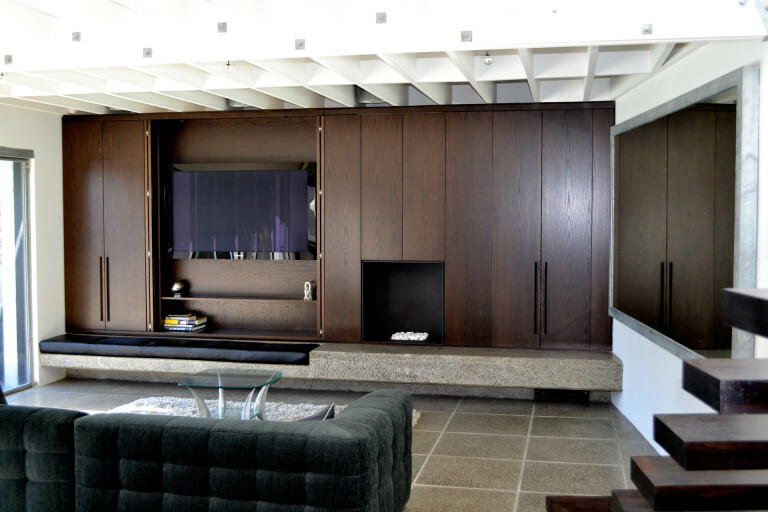 It needed to accommodate the fireplace, bi-folding pocket doors for the 50” TV, negative detailing at the top and tracks in the granite below. 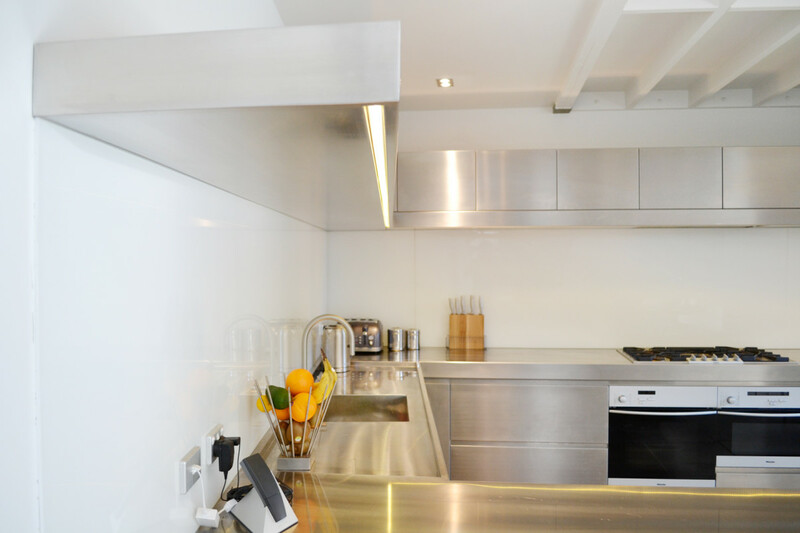 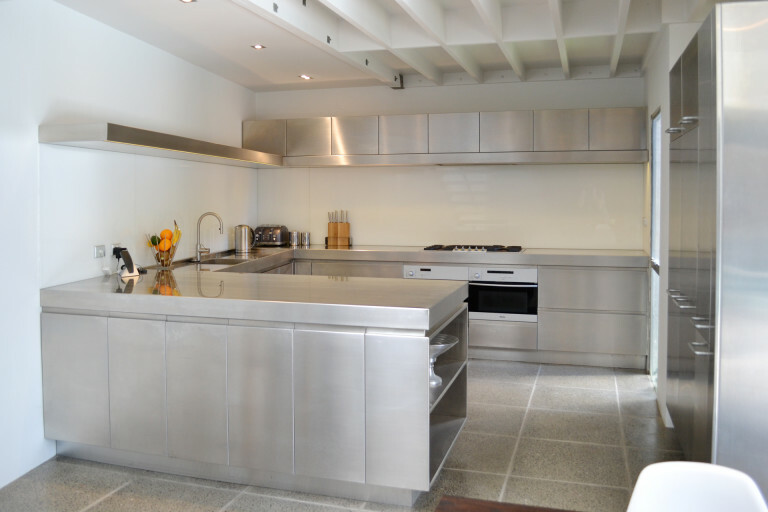 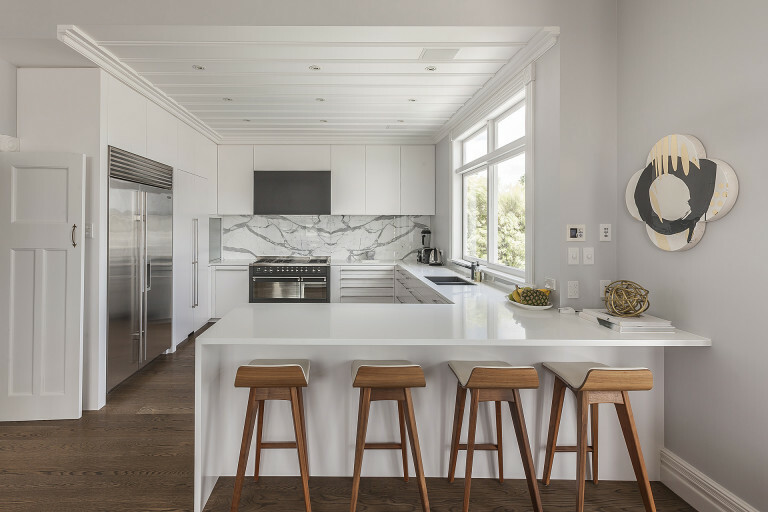 The kitchen was completely manufactured out of stainless steel and includes a sunken sink area and recessed LED lighting track along the entire floating shelf above.